What is Flat Sound or Neutral Sound? There are a lot of headphone companies with their thousands of different headphones. So, if you are really planning to purchase a headphone for yourself then you must keep in mind some important things and read this headphone buying guide carefully because we discussed different types of headphones buying guides in details for your better understanding. This headphone buying guide will surely help you out and you won’t have to search again for purchasing a headphone. 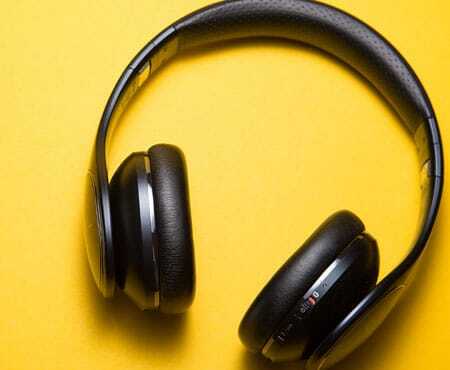 In this article, we are going to share with you all of the important features and types of headphones that you must know before buying a headphone. So firstly let’s talk about Types of Headphones. I am going to tell you about headphones from its basic to its advanced features. So under this heading we are going to learn that how many types of headphones are being manufactured nowadays and how to choose the best type of headphone which you require for yourself. Maybe you already know about this, but if you not then please keep reading because before buying a headphone you must know about this. I will also share all of the details about those types of headphones and which one is made for you. So just keep reading till end. So here you will get to know that what are In-Ear headphones. 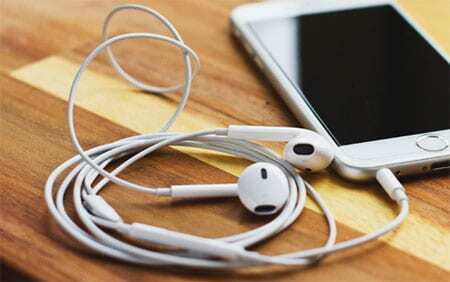 Basically, these are popularly known as earphones or ear buds. These are one of the smallest types of headphones which are wearable inside ears. These are placed inside the ears just like ear buds. 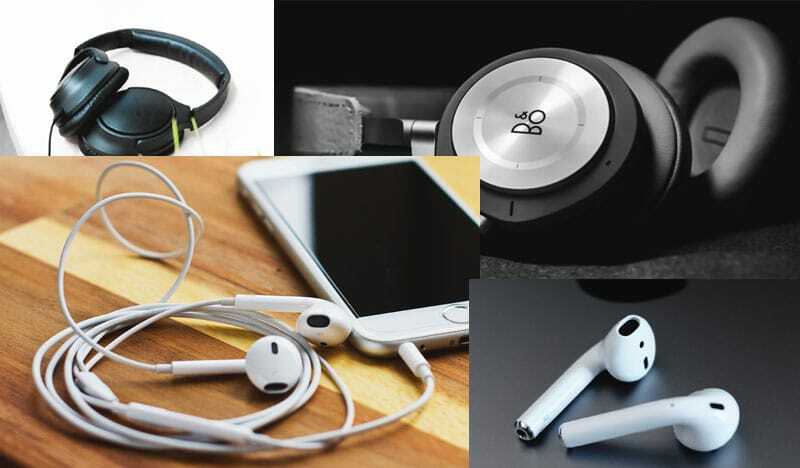 Most of the Smartphone companies also manufacture this type of headphone and they are given to the customers with the smartphone. There are a lot of benefits of buying an In-Ear headphone of Earphone but the biggest benefit is that you can easily carry these types of headphones anywhere. They are very small in size so that you can easily put them inside your pockets. You can look some different types of in ear headphones in best headphone category. This is another type of headphones. As the names suggest On-Ear Headphones, these headphones are made up of a band like plastic structure which goes on over your ears. In-Ear headphones go inside your ear canals but these types of headphones are actually wearable over the ears. There is a plastic band which you can wear over your head and at the end of that plastic band; a speaker is available which allows you to enjoy awesome sound quality. So it is actually your choice to wear it over your head or behind your head, but make sure that the sound speakers are placed on over your ears so that you can easily enjoy the music. These headphones are a bit bigger in size than the In-Ear headphones but they are also easily portable so you can carry them inside your bag or you can also wear over your head while walking. We talked a lot about the In-Ear and On-Ear headphones so in this area you will get to learn about the third type of headphone which is popularly known as Over-Ear Headphones. 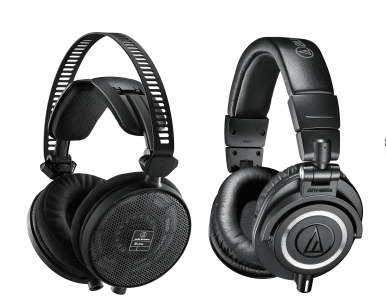 These are the biggest types of headphone among all above three types and you may already know about these already. But there are also important things about it so make sure you read this article till end. As this headphone is much bigger in size so it provides the best sound quality among all other three types and the battery of these headphones are also bigger so they last long more than the others. Some of the best over ear headphones listed here for your understanding. The technology growth in the last 5 years is much more than in the previous 10 years. So with the growing tech world, almost every tech device is going wireless. These type of headphones are one of them. They are connected to mobile device using Bluetooth system. Bluetooth changed the tech market from the year 2017. So, if you don’t want to mess up with the wires of headphones, you should surely go for this one. Also the sound quality of modern Bluetooth headphones is much better than the previous ones. So you can go for these type of headphones if you want to buy wireless headphone. If you don’t know much about technology, then you may purchase a headphone which isn’t made for your use. So if you don’t want to waste your money then keep reading till end to know what are the important things to keep in mind while purchasing a Headphone for yourself. There are a lot of technical factors which makes a headphone better. So, below are some important and basic terms of sound system, you should know about them so that you can invest your money in the right thing. The first thing to keep in mind while buying the headphone is the frequency response. You should always check the frequency response of every headphone before actually purchasing it. Now you might be wondering that what is Frequency Response. So just relax and enjoy reading this article. This spec tells you that how far the sound waves can travel. As the sound is measured in Hertz (Hz), you should know its value that how far the sound of that particular headphone travels. That means how loud capability of the headphone is. Most of the products give you a 20Hz – 20,000Hz frequency response. You can see this value on the back side of the headphone box. Every company provides these details on their headphone box and you may already know that the sound humans can hear is also 20Hz – 20,000Hz. That’s exactly the reason why headphone manufacturer also gives this frequency response range. Now most of the people questions that what if the frequency is less than 20Hz or more than 20,000Hz of a headphone. Should you buy those? So here I am telling you that as we human can only hear 20Hz – 20,000Hz so there would be almost no difference to hear in the sound quality. Also if the frequency is more than 20,000 Hertz, then you can hear a bit louder sound quality which is absolutely a plus point. You can’t even feel this difference so there is no need to worry about that. Other than that, sometimes the headphones available in the market do not produce clear sound quality. I mean sometimes you may get problem while listening the lyrics or the background music may get down sometimes. These are some specs which can’t be judged on the values. So you must always try and feel the headphones before purchasing them and you will also get to know the difference between qualities while feeling the music yourself. As the term says Noise Isolation, it means the isolation of Noise. If you are a science student, then you may know that what Isolation is. It means that the complete condition in which there is no any space between two things. I mean noise isolation means that the quality of the headphone so that it fits on your ears so that the active noise outside the headphones not enters your ears. For e.g. If you are listening to music and some children are shouting in front of you, then how silent the other noise is. 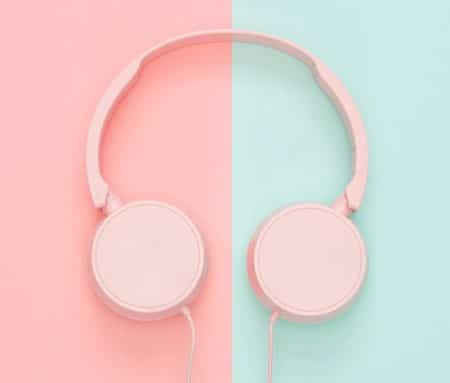 You should always pick the headphone which is more isolated so that while listening to music you don’t face any problem of outside noise so that you can just rest and enjoy listening to your favorite music. Active Noise Cancellation is the feature of the headphone which actually cancels every single sound wave which is coming from outside. Let me explain you its proper functioning. Look at noise cancelling headphone for your better understanding. Active Noise Cancellation is a technology which is now provided in most of the headphones because it is more accurate in cancelling noise than the Noise Isolation. 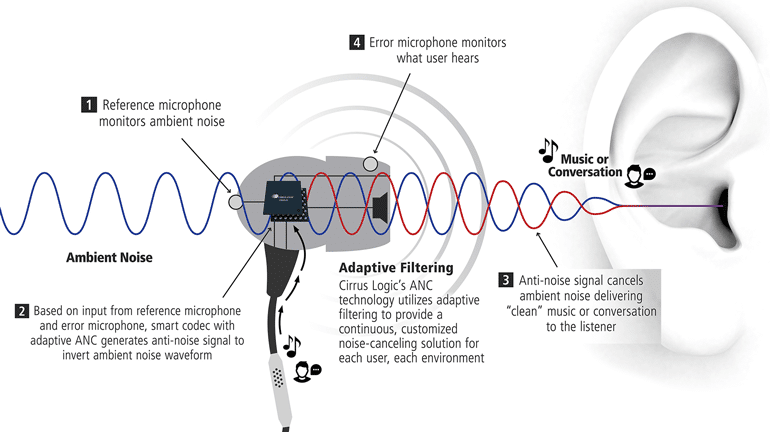 Because in this technique, the headphone is provided with an inbuilt microphone which only records the external sound not the internal which is playing in the speakers. So, then it automatically creates an opposite sound wave to that external sound so that they get balanced and user gets an amazing noise free sound quality. These types of headphones are the best so you should check whether there is ANC in the headphone or not! Sound Stage means the ability of the headphone to trick you from where the sound is coming. Because nowadays the so called 3D sound is coming in the music industry. So to get experience that 3D sound you should buy the best Headphone which has a better Sound stage. The good quality headphones can trick you amazingly and you can’t actually judge that from where the sound is coming into ears. It feels like the sound is coming from back, front or from top of your head. So make sure you buy the headphones which are good at tricking you and provide you better 3-D sound experience. This quality of headphone differs from company to company so you should check reviews about it and then purchase the best for yourself. There are two types of headphones available from which the closed back headphones are always the good ones and you should always go with that one. The speakers in the closed back headphones are covered in the ear cup to save the part of the cup which is facing your ears. This make sure that the sound bounces in that cup and then straight forward goes into your ears only not outside the cup. These headphones ensure that you don’t hear the outside noise and also the internal music can’t go outside the cup so that the other person sitting beside you can’t even guess what sound you are listening too. It means it prevents the sound leakage problem which is a very good and plus point to purchase this one. So if you are a person who sits in an office or want to listen music in the public area like metros, trains, etc. Then I will highly recommend you to go for this one. So I told you about the closed back headphones now I am going to tell you about the open back headphones. Some of you may have already guessed and if you are not that one, then let me tell you. This is just opposite of the closed back headphone. These types of headphones are not covered inside the cup so there is a sound leakage problem always. Also the negative point is that the external sound or external noise can easily get into your ears and that results into bad music listening experience. But one more thing, this is not going to create any type of problem if you want to listen music at home or at any other place. 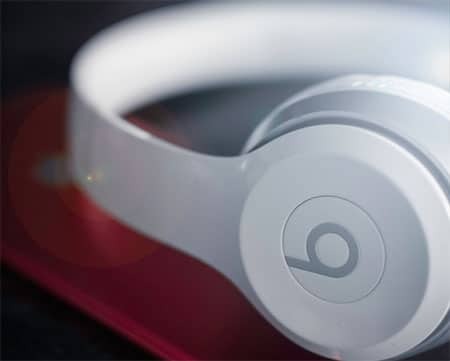 But if you want to listen to music at any noisy place with the open back headphones then this will surely create problem for you because the external noise will have a lot of space to easily enter your ears and make your music experience very bad. So please choose the closed back headphone to get the best experience of listening to music. If you ask any technical person to give you advice for choosing a headphone, then he will explain you in detail as I am telling you and he’ll also say you to purchase a headphone which has a “neutral” sound or “flat” sound. Now you might be wondering that what is it? Then again, just keep reading! Flat Sound or Neutral Sound means that the headphones should regenerate the signal and sound waves which they are receiving from the mobile phone. I mean there should be a minute deviation between the actual sound waves which are coming from smartphone and the waves which your headphones will produce. You may think that this may come in all of the headphones in industry but there is some big reason you should not do so. Basically, flat sound or neutral sound isn’t any interesting. Also a lot of headphone manufacturing companies give a bit high frequency so that the sound seems more amazing to the user. Now this is not any big deal because almost all music lovers want high bass in their music experience, but it is for those who listen to lyrics more or instrumental music more. The Flat sound gives benefits when the produced sound is mixed with the audio so that it becomes more exciting. So what I mean is that if you don’t prefer mixing audio, then there is no need of flat sound or neutral sound for you. I already explained a lot about Noise Cancellation. So you must go for a headphone which has better noise cancellation or better noise reduction. There are a lot of headphone manufacturer companies which actually provide you the best noise cancellation technologies in their headphones. Using that headphone doesn’t mean that all bad sound will not come but you will surely feel the difference when you yourself will try both of the headphones which have noise cancellation and which do not have noise cancellation technology. If I’d be at your place, I’ll surely go for the better Noise Cancellation Headphone. So I recommended you for choosing the Noise Cancelling Headphone. So if you are going for that then you should also remember and purchase a headphone which is having a good battery life. Because the features like Noise cancellation and Bluetooth headphones consumes some more power than the other ones which are having none. So must go for the good battery life so that your headphones don’t shut off in the middle of the music. That really hurts more than breakup! Well just kidding, let’s move on to next one. If you are going for on ear headphone or over ear headphone, then you must choose the headphones which are foldable or easily collapsible. Almost all of the headphones which are coming in today’s industry are foldable headphones but it won’t take a second to check whether they are foldable or non-foldable. So make sure to check it properly before buying that one. Yes, this is still the most important feature because you’ll get tired of taking your phone out of the pocket and putting it in back for listening to the call. So it will help you a lot if your headphone will give you a built in microphone then it is a very good and plus point and you’ll never think that it was waste to spend on a headphone. So I’ll recommend you and it would be a great choice if you go for the headphone which gives you a built in microphone to receive and answer calls. Also it allows you to use voice features like Siri, Google, etc. Most of the headphones are coming with a water resistive feature so if your headphone also waters resistive then it would be a greater deal. This is for those who want music at gym. They can play motivational and energetic music to boost their strength and work out hardly. Because that thing sweats a person a lot and it can damage a non-water resistance headphone. If it is water resistive it would be great deal to go with it. You can use it to enjoy music while doing work out or any other heavy work. Because music really relieves a lot of pain. This is the last thing to keep in mind while purchasing the headphones. You must know why you are purchasing a headphone. If you want to commute, then you don’t necessarily need open headphones or back headphones. If you love to mix sound and music, then you may not want in Ear Headphones. So, what I mean is that you should know why you are purchasing a headphone. If you want to go to gym and do workout, then you’ll surely go for a wireless or Bluetooth headphone which should be also water resistive. The Warranty of the headphone should also be a good age. If you face any problem, you can go for the replacement. You can get more information on different types of headphones in this video. So this is the conclusion of this headphone buying guide. You learned a lot about the different types of headphones. You learned about all the types of headphones. You learned about the main features of headphones and I also told you that you should know why you want a headphone. One more last thing you should keep in mind is that the reviews. Whatever headphone you are going to purchase please kindly check and read the detailed reviews. If you get positive reviews for your chosen headphone, then you can go blindly for that one. But make sure that those are not fake reviews. Because a lot of companies pay users to comment and rate positively their headphones. So just make sure that the reviews you are reading are actually written by a genuine person like you who purchased and used that headphone. You can easily get to know that whether it is true or fake review by reading it yourself. You’ll also get some negative reviews to read there, if you think that something might be wrong with that then just don’t go for that one. Look and search for another headphone which will suite you perfectly according to your budget price and your work. I explained you about headphones from its basics to its deepest advanced features. So you should not get any problem while purchasing it. If you still get then you can do a comment right below here, I’ll help you to get your problem solved very soon. I hope you actually learned about how to purchase a headphone. If I helped you by any means, then please show some love by sharing this with your other friends which are also looking for a headphone guide.